While a recession doesn’t appear to be around the corner, the local economy certainly seems to be shifting into a lower gear. How should City Hall respond? Before budget axes start swinging, let’s keep some facts about City spending and headcount in mind. 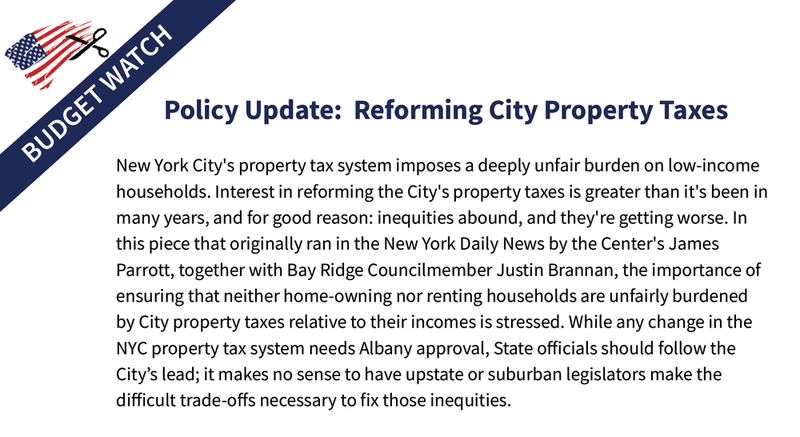 New York City's property tax system imposes a deeply unfair burden on low-income households. Things are really starting to get ugly in our nation’s capital. The adoption by the House and Senate of a budget resolution moves the day of reckoning a big step closer. Some of the worst-hit states would be those that turned out in force to put Donald Trump in the White House and are aligned with the GOP congressional majority.